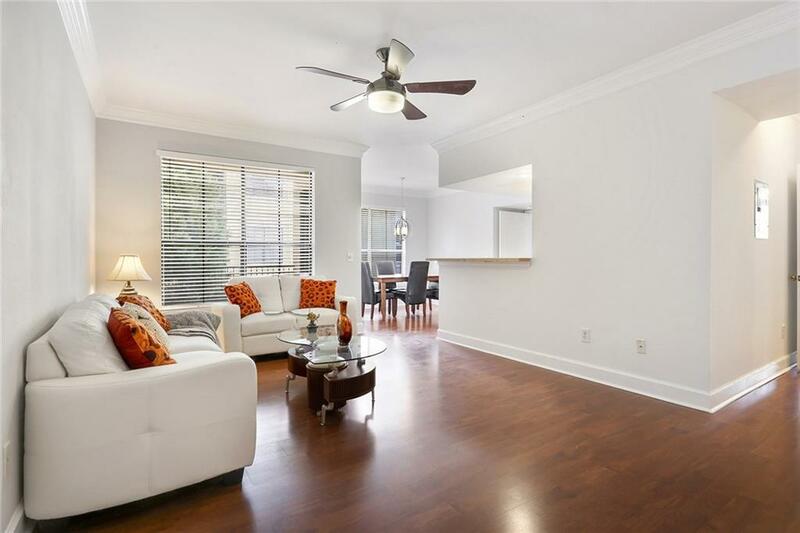 Fantastic end unit in desirable Peachtree Place. Great 2 bedroom/2 bathroom roommate floorplan. Kitchen with large eat-in open to the living room with lots of natural light. Each bedroom has it's own bathroom and walk-in closet. 2 covered parking spots very close to the unit. Located just a mile north of Phipps and Lenox shopping, you will LOVE this location. Gated community not only provides security but a fitness facility, business center, media room, and an amazing pool for your summertime get togethers. Directions: Peachtree Road North 1 Mile From Lenox Rd To Right On Club Drive.